Can the Pistons really manage to watch every single NBA game this year? 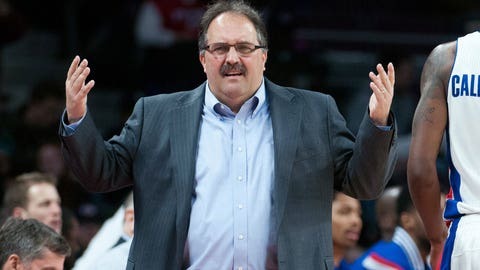 Head coach Stan Van Gundy and the basketball operations staff for the Detroit Pistons take their jobs very seriously. Detroit's staff wants to do the impossible and watch every single NBA game this year. That's 1,230 NBA games they want to watch, scout, log and analyze. “There will be 1,230 NBA games this season. The Detroit Pistons want to watch every one. The Pistons have four pro scouts, and that’s their job: Watch basketball. A lot of basketball. Two or three games a day, all season. Last year, they watched between 90-95% of NBA games, and for each one, they evaluated every player in the game in several categories, and entered their scouting reports into the team’s database. The Pistons want to know everything relevant about every player in the league—and really, about every NBA-quality player in the world. It’s an enormous and unprecedented effort that could change how business is done in the NBA.